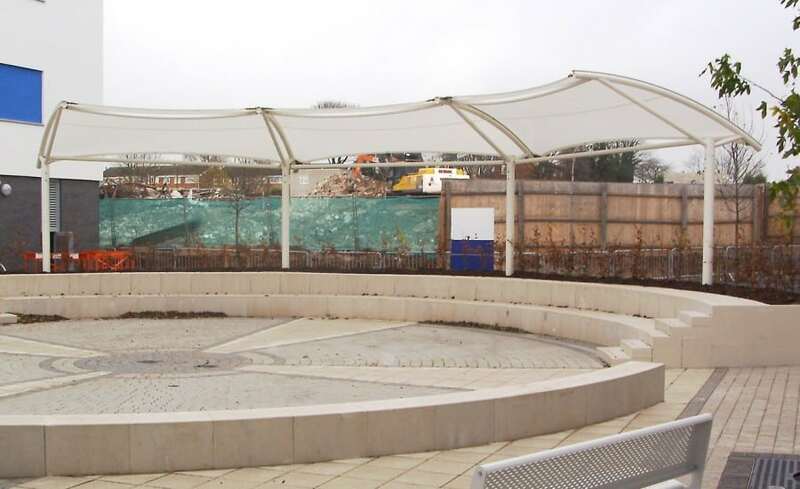 In Summer 2007 building work began on the brand new building at Archbishop Grimshaw Catholic School. 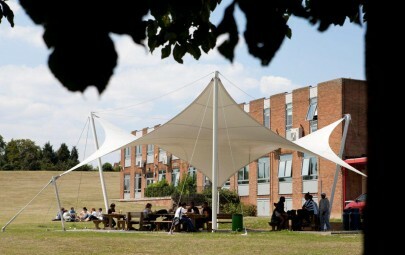 The building, which was constructed to house the ever increasing numbers of pupils, is surrounded by a landscaped area designed to extend the learning environment into the outside space. 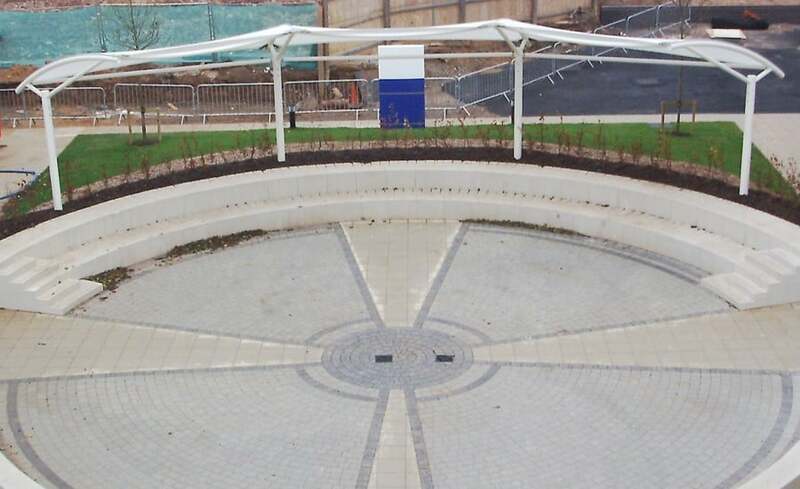 It was with this in mind that architects Bond Bryan approached Architen Landrell to design, manufacture and install an amphitheatre canopy within the buildings grounds. 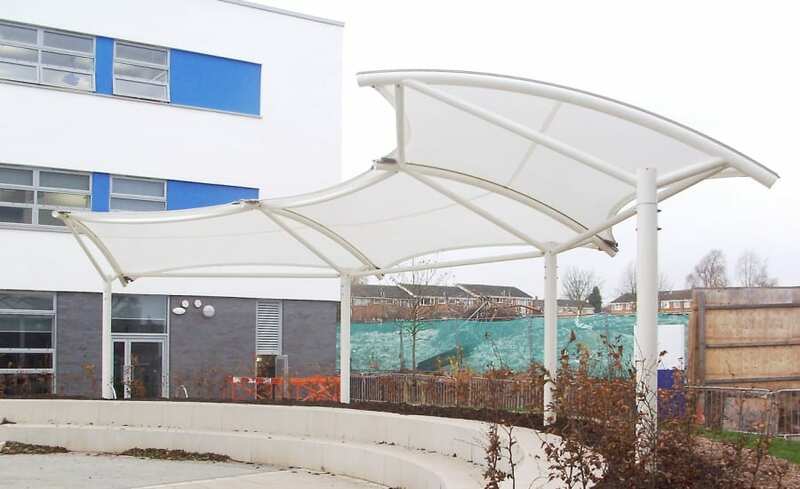 Working closely with the architect and landscape designers, Architen Landrell created and erected a three bay tensile fabric canopy using silicon coated glass cloth and mild steel designed to compliment the existing surroundings. 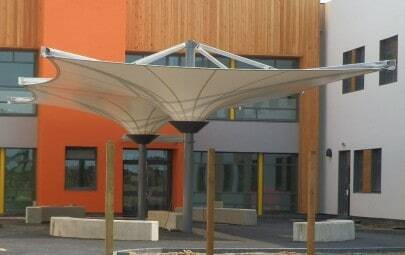 The canopy forms the focal point for a courtyard formed by the three sides of the new school block and provides weather protection for students and visitors watching performances in the space. 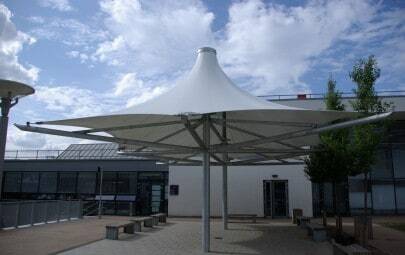 The silicon coated glass cloth used to form the canopy skin provides excellent light transmission levels and has some self cleaning properties which are extremely beneficial in the school environment. The school are extremely pleased with the finished project and it has been commended as the best part of the new 20million school by senior staff members! The canopy certainly looks as pristine as when it was installed and provides an artistic element to an otherwise plain space.